Santa Clara and Hayward rank among the top 10 most livable medium-sized American cities this year. Hayward’s median home value has shot up by 95 percent over the past five years. A separate analysis ranks Los Altos as the country’s seventh-best small U.S. city to call home. A street scene in the city of Santa Clara. A new SmartAsset study ranks the top 25 medium-sized U.S. cities — defined here as those with populations higher than 100,000 but excluding the 100 largest — on a 100-point scale based on median home value change, monthly housing costs, unemployment and poverty rates, and median annual household income. By those criteria, Santa Clara is the country’s third most livable U.S. city, notching a near perfect score of 99.46. Santa Clara gets a boost from its five-year median home value change of 66 percent but is hurt by its $2,316 monthly housing expenses, the second highest of any city included on the list. The Alameda County city of Hayward comes in at No. 10 on the list, with an 89.34. Over the past five years, home values in Hayward have skyrocketed by 95 percent, the highest rate of appreciation recorded in any of the 25 cities included in SmartAsset’s analysis. 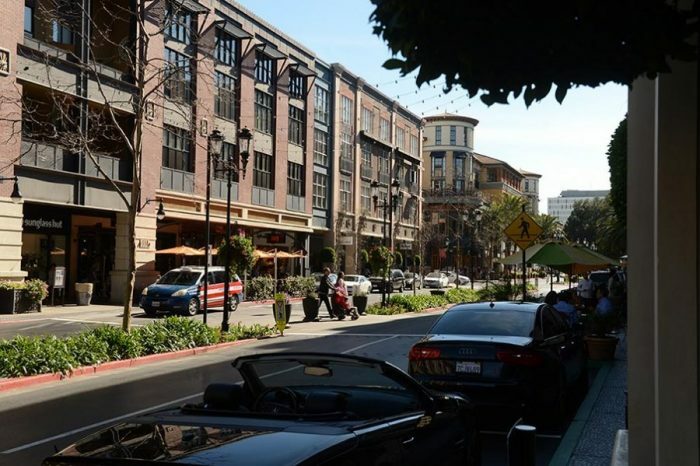 Two other Bay Area cities rank among the best midsize communities in the nation: No. 12 Sunnyvale (88.12) and No. 20 Concord (80.30). Sunnyvale households pull in the highest annual incomes on the list — $134,234 — but also are burdened with the largest monthly housing costs of $2,329. A separate analysis by WalletHub ranks America’s best small cities, also on a 100-point scale and using similar metrics as Smart Asset. Of the more than 1,200 communities include in the report with populations between 25,000 and 100,000, Los Altos comes in at No. 7, with a score of 69.06. While the wealthy Silicon Valley city ranks in the top 10 in the country for overall economic well-being, it is predictably much lower for housing affordability. WalletHub gives Los Altos a special mention for being among the nation’s top five places where the highest percentage of the population holds at least a high-school degree. And while San Mateo County’s Burlingame does not appear in the upper part of the best-small-cities rankings, it ties five other U.S. cities for the most income growth.